Our First Home didn’t finish first when it premiered on Sunday. TV3 had a “Wahoo!” of a weekend, winning all four core commercial demographics on Saturday and Sunday, and all but one on Friday. Sunday’s House Rules won its slot outright, averaging an 8.9 rating/30.8 channel share of 25-54 year-olds, the network’s key demo, and a 7.4 rating/29.9 share of 18-49 year-olds. By contrast, TV One’s renovation rival, Our First Home, opened with a 4.3 rating/14.6 share of 25-54s and a 2.8 rating/11.3 share of 18-49s. That was after Sunday’s 7.5 rating/26.7 share in the 25-54 demo and Blindspot’s 6.4 rating/23.6 share, which was high enough to win the 8.30 hour. Blindspot also dominated with 18-49s (4.9 rating/20.9 share) against TV2’s network movie premiere of The Amazing Spider-Man 2 (3.6 rating/ 20.1 share), which was also beaten by TV3’s re-run of Rise of the Planet of the Apes (3.9 rating/18.6 share) in this demo. 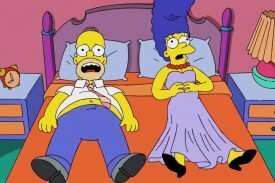 TV2’s acquisition of The Simpsons paid off, with the season 27 premiere winning its slot in the 18-39, 18-49 and 25-54 demos, averaging ratings of 5.3-6.6 and shares of 18.9-31.3. But it was a tough start for new Kiwi ‘toon The Barefoot Bandits, which averaged a 2.3 rating/11.8 share of 18-39s and a 2.1 rating/9.3 share of 18-49s to finish well behind the news hours. Prime’s HD premiere of Unforgotten averaged a 1.4 rating/5.0 share of 25-54s and the season premiere of Elementary, a 1.5 rating/6.6 share. Although TV3 won the night in all the key demos, it only just edged out TV One for the 25-54 vote (a 26.4 share vs a 26.2 share). On Saturday, TV3’s re-run of Raiders of the Lost Ark won three of the four core demos, with 25-54s opting for TV One’s MasterChef Australia, but its network premiere of The Counselor was tops with 25-54s. And on Friday, it won all four demos with The Graham Norton Show and 7 Days while Jono and Ben was #1 with 18-39s and 18-49s but couldn’t break MasterChef’s hold on 25-54s. TV2’s Supergirl finished third at 7.30 among 18-49s and 25-54s but came second in the other key demos. Yes, it looks terrific, doesn’t it? Even the channel’s upscaled content is remarkably good and vastly improves on the SD broadcasts Freeview viewers still have to endure because Sky says it’s too costly at this stage to make Prime HD multi-platform. Philip, do you get any granularity on the ratings? Are you able to contrast Prime ratings in Sky homes (ie. in HD) vs Prime in non-Sky homes? Just interested in whether there is a lift in ratings for HD content – to help justify the cause for Sky to spend to get it HD on Freeview. The ratings data I can access is limited in its scope but you raise a great point that I will put to Sky. Thanks! How much lower can TV3 go? I caught the end of Raiders of the Lost Ark and as I quite like the end title music, I decided to watch it. Well, TV3 took about 30 seconds to fast run the movies end credits in a small box while advertising the next week’s movie. How much lower can they sink to get another couple of minutes of ads in an hour? Disagree Paul W … commercial TV is fighting for every eyeball it can, the general public doesn’t care who was the second unit director on a film. Accelerated flow has been around for years for TV shows themselves and movies should be no exception. It’s absolute dead time in prime time TV. I think Barefoot Bandits is not worth it, this cartoon series is just at the wrong time for this show. We need The Muppets back.